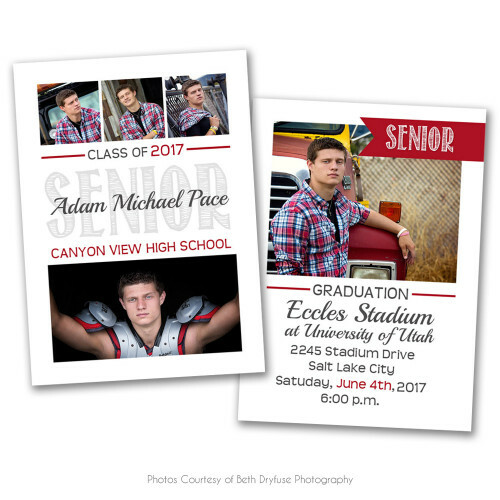 This graduation announcement is modern, trendy and fun! Your seniors will love this simple, clean and bold design. Save time and work with our easy-to-use, photoshop templates.